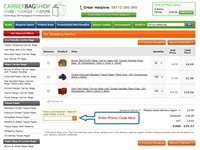 There is a field to put your promotional code in within your shopping basket. 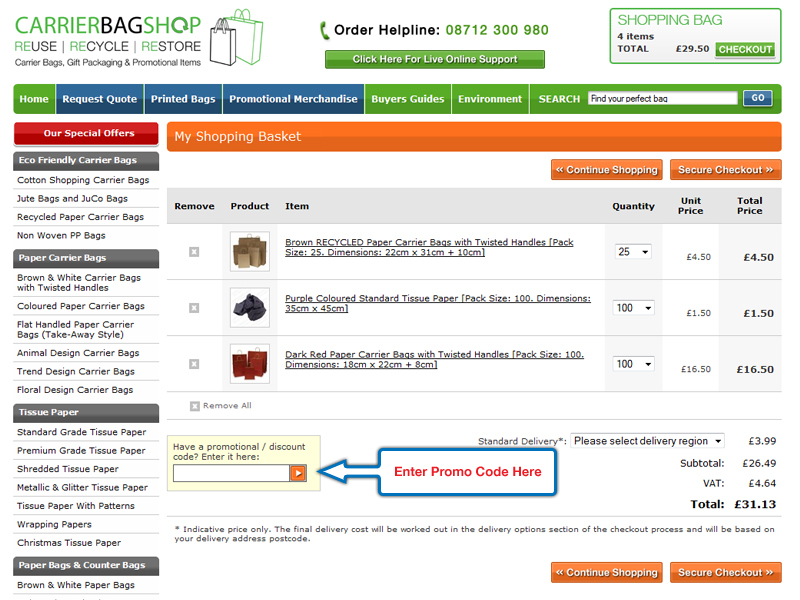 Once you’ve put it in and clicked on apply, it will reflect in the total. Promotional codes are sent out via our newsletter and if you like us on Facebook or follow us on Twitter we will post exclusive offers on there too.